We’re all human, so judgmental thoughts are sometimes unavoidable. 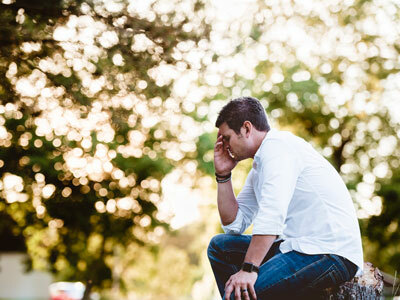 However, forgiving ourselves for those knee-jerk negative sentiments can be tough. Gabrielle Bernstein, author of JUDGMENT DETOX, shares a valuable tool to forgive your thoughts and live in a no judgment zone. This prayer offers me immediate relief. In an instant I can end the judgment cycle through the power of my intentions. When I intend to forgive the thought, I pardon myself for choosing wrongly and I realign with my right mind. In any moment I can find forgiveness through my practice. The moment you choose to forgive your thought, you realign with love and forgiveness is bestowed upon you. Forgiveness is a practice because it is ongoing. I find that I have to forgive my thoughts all throughout the day. The ego voice of judgment is always at the forefront of our minds, so we have to lean on forgiveness to reprogram our thinking and restore our thoughts back to love. Throughout the day, pay close attention to your judgments and use the prayer practice of forgiving a thought to bring you back to grace. You can do it silently anywhere, anytime. All you have to do is choose it. 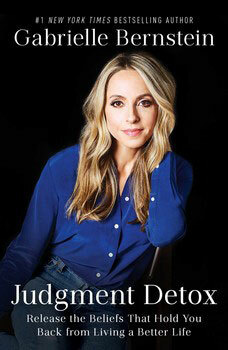 To learn more about forgiveness and the judgment detox process check out JUDGMENT DETOX by Gabrielle Bernstein! Excerpted from Judgment Detox by Gabrielle Bernstein. Copyright © 2018 by Gabrielle Bernstein. Used by permission of the publisher. All rights reserved. From #1 New York Times bestselling author Gabrielle Bernstein comes a clear, proactive, step-by-step process to release the beliefs that hold you back from living a better life.This six-step practice offers many promises. Petty resentments will disappear, compassion will replace attack, the energy of resistance will transform into freedom and you’ll feel more peace and happiness than you’ve ever known. I can testify to these results because I’ve lived them. I’ve never felt more freedom and joy than I have when writing and practicing these steps. My commitment to healing my own relationship to judgment has changed my life in profound ways. My awareness of my judgment has helped me become a more mindful and conscious person. My willingness to heal these perceptions has set me free. I have been able to let go of resentments and jealousies, I can face pain with curiosity and love, and I forgive others and myself much more easily. Best of all, I have a healthy relationship to judgment so that I can witness when it shows up and I can use these steps to quickly return to love. The Judgment Detox is an interactive six-step process that calls on spiritual principles from the text A Course in Miracles, Kundalini yoga, the Emotional Freedom Technique (aka Tapping), meditation, prayer and metaphysical teachings. I’ve demystified these principles to make them easy to commit to and apply in your daily life. Each lesson builds upon the next to support true healing. When you commit to following the process and become willing to let go, judgment, pain and suffering will begin to dissolve. And the miracles will keep coming. Once you begin to feel better you start to release your resistance to love. The more you practice these steps, the more love enters into your consciousness and into your energetic vibration. When you’re in harmony with love, you receive more of what you want. Your energy attracts its likeness. So when you shift your energy from defensive judgment to free-flowing love your life gets awesome. You’ll attract exactly what you need, your relationships will heal, your health will improve and you’ll feel safer and more secure. One loving thought at a time creates a miracle. Follow these steps to clear all blocks, spread more love and live a miraculous life.